PU01 Update: PU01 has released and it seems that a few players aren’t seeing much of a difference. Read this “Get More From PU01” if this is your case. Stay posted here as we will be updating this guide to what is optimal for PU01. This guide was originally written by ACJCLIGHTNING and posted in the Off Topic forums on the Steam Forums (http://forums.steampowered.com/forums/showthread.php?p=33569390). For the purpose of this article, it has been rewritten and reformatted but contains the same information and some additional information to streamline the tweak process. More articles you should read after this one. Just open them in a new tab! Get Free Station Cash – Not much, but it is legit. Some of SOE’s smaller games give out small amounts of free station cash just for logging into the website for it and agreeing to the terms and conditions. I keep this list updated of SOE games that currently offer free station cash. Every little bit counts. Better Planetside 2 Network Performance – Using QoS on your router to get the edge on the competition by reducing network lag. Military Style Radio Beeps for Teamspeak 3 and Ventrilo – Makes it much easier to hear whispers and such on Teamspeak and Ventrilo. Yuka’s Advanced Special Ops Planetside 2 Tactics – Work In Progress – Increase your entire squad’s K/D ratio and mission effectiveness. These tactics WILL give your squad and platoon and outfit a HUGE leg up over your competition. Planetside 2 is a very CPU intensive game. You can have the best video card in the world but if your CPU can’t handle the load of hundreds of combatants shooting all over the place, you will not get a good framerate. In its current state, the game is largely not optimized. CPU usage skyrockets as battle intensity increases. You may get 60 frame per second at the warp gate but as soon as you Instant Action onto that mega battle on an Amp station, your framerate might drop to 10. 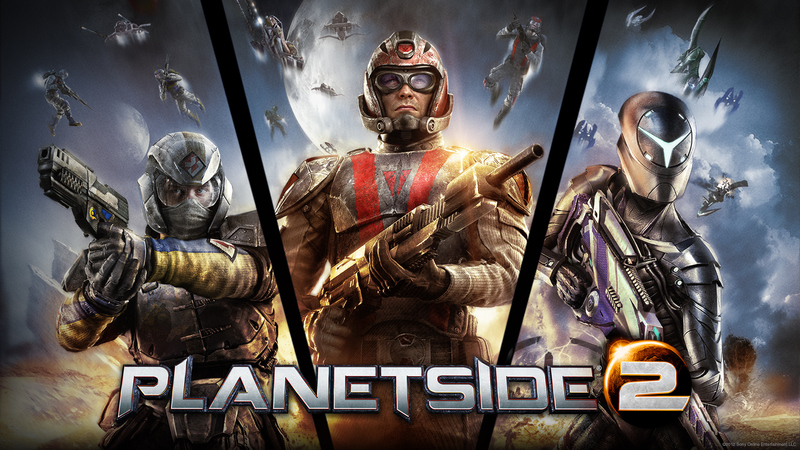 Planetside 2 appears to be optimized for Intel-based CPUs. AMD-based CPUs seem to fair poorly currently. Although many of you on the forums despise it or say that it doesn’t help, it actually can help in this game. Most games don’t see any improvement because you have enough RAM and a good processor, so the video card is the bottleneck. But in Planetside 2, in the middle of a huge battle, you CPU will ALWAYS be the bottleneck, even if you have something like a i7-3770k(which this game seems to like more then other processors). JetBoost shuts down a lot of the services and processes that are completely unnecessary while playing a game. It also offers a lot of system-level tweaks to make your computer run faster in general. Even if you don’t like it, its free, and it might net you a few fps with nothing being changed in game. For those asking the question Is it safe to use JetBoost for Planetside 2? The answer is yes. JetBoost does nothing to alter Planetside 2, it only alters your operating system and other processes by shutting down services and programs that are running in the background of your computer to free up additional system resources for Planetside 2. Bottom-line: JetBoost will not get you banned. This is possible by altering your registry, but for those less tech savy, this program can do it easily. This either will have no effect, or a HUGE effect. I’ve heard of some AMD Phenoms going from 20 fps to 60. Most newer Intels won’t see to big of a difference(I hear i5s dont get any, but there are some gains for i3s and i7s), but AMD processors could see a huge difference. Microsoft even admitted that core parking on AMD CPUs in windows 7 was down right broken. This could very well gain you 40 fps, although I expect that if you do get fps, it will be more like 10-30. Be warned, I’ve heard of laptops getting extremely hot with this, so be careful. Desktops should be fine. Even if its just a small one, a overclock may help. I myself, cannot overclock because of a locked bios, but for people who can, it may be worth it. Go into your PlanetSide 2 directory and find Planetside2.exe, Right click it, click the Compatibility tab. From there, Inside the “Settings” box, click “Disable Desktop Composition”. These are all settings that put pressure on the CPU instead of the GPU. First of all, shadows should always be on low, no matter how good your system. More on how shadows effect the FPS later. Next, turn Particles, Effects, Flora, Ambient Occlusion, audio quality, and Fog Shadows off or lower. These are all CPU demanding(Im pretty sure AO effects CPU and GPU). This should net you some good FPS. That’s right, you get better fps AND better stability on Ultra settings then on high, while also making it look better. I will expand on this later on when I talk about the .ini file settings. To enable ultra, you need to go to your Planetside 2 directory and find the Useroptions.ini File. This file is completely safe to modify and allows you to enable the ultra settings that were taken out of the game. First of all, set TextureQuality= to 0. This is ultra, and screws people up because it is the oposite of other settings. This wont help FPS though, but it is almost required for this game since it already has some bad textures. Here are the values to set certain keys to if you are already running on high and want to switch to ultra. DO NOT copy this and paste it into your Useroptions.ini – it will either be overwritten by later entries in the file or if you overwrite everything, you will reset a lot of settings to their defaults as the Useroptions.ini file has a lot more entries that you will see here. Go to your Useroptions.ini and find where it says “RenderDistance” Change it from -1.00000 to 1000.00000 or if you plan on flying, 2000.00000. Please note that this does not in any way effect the render distance of enemies, only objects. It is currently impossible to change the render distance of enemy troops and vehicles. It obviously disables all shadows. This makes the game look very bad. However shadows only put a load on the CPU and not the GPU. Set it = to 0 to turn off shadows. Also find OverallQuality and set it to -1, this makes it so the game doesn’t switch back to default settings when you start it. Anything other then Lightingquality 2 will default to medium. BUT Lighting quality 5 is different. Lighting quality 5 will greatly increase reflexion quality and make guns look fantastic. HOWEVER it also only has lighting quality features at medium, which means rocks don’t look great and Clouds don’t cast shadows. BUT, the main issue is that the Ambient Occlusion effect is greatly reduced. This is good and bad. For people who wanted Ambient Occlusion to be more subtle it’s good, but it does decrease it to only having a very small effect. Change the “Frame Render Ahead” option on nVidia cards or to change the “Frame Flip Queue” setting for ATI cards. Essentially what happens with this setting is that the driver tells the CPU to prepare so many frames ahead before sending them to the gpu to be rendered, this can help smooth the framerate when the GPU hitches on a difficult frame and boost the max fps at the detriment of some noticeable input lag (also depends how many frames ahead are prepared for the extend of input lag). With Planetside 2 it eliminated input lag AND improved the perceivable performance of the game at lower frame rates and improved the average and max fps. Use Radeon Pro to do this, in Radeon Pro add the game executable then in advanced tab set the flip queue size to 1 or 2 it will be set to 0 or driver default then just close the window and leave radeon pro running and it will detect when the game is launched and use the setting. But for nVidia users you can go into the nVidia control panel 3D Settings/Manage 3D Settings then choose either global for all games or program settings to set a profile to test changing the option with Planetside 2 only, then scroll down to maximum prerendered frames and change the option from the default 3 to 2 or 1, don’t use 0 it will just use driver default of 3. You may also see an many other games and the difference can be amazing, its supposedly night and day in metro 2033 much like Planetside 2 when using this option. Usually the driver is set to 3 or driver default unless the application overrides it, I don’t know if SOE have manually adjusted this and set it higher than driver default but the boost was reportedly noticeable even on the main menu. TheRealMetalstorm made a post on the Planetside2.com Forums about running the game in your computer’s full native resolution but reducing the 3D resolution by leveraging the Render Quality option in a way that maintains crisp GUI and icons and reducing the load on your computer to increase framerate. You can view the original post here. Reducing your 3D rendering resolution can decrease CPU usage. If steps 1 through 10 above helped but you are still facing poor framerate, you can try the steps below to lower your 3D Rendering resolution and get a boost to frame rate without a significant impact on graphic quality. If you make changes via the slider bar, it is ideal to restart the game with each change. I highly recommend editing the value for RenderQuality in the UserOptions.ini file instead of using the in-game slider bar to make these changes. These steps should be followed for anyone who has the game set to a resolution that isn’t the maximum resolution that your computer can display for performance reasons. Before you start calculating your own values, be sure to check out the handy table below and click the native resolution of your computer! Check your desktop resoltuon. It’s most likely 1920×1080 if you’re using a widescreen monitor. Choose a desired resolution to run Planetside 2 in with the same aspect ratio as your native resolution. For most of you who’ve figured out what your systems are capable of, this is probably your current Resolution setting under Options. Take the width and multiply it by your current “Render Quality” slider. Note down this value. This is the width of the resolution at which the engine is rendering 3d content. Set your PS2 render quality slider to a value equal to that decimal fraction, e.g. 0.642 -> 64%. If you know how to edit your .ini files, do it there, but there’s no real need. Set your game resolution to your native resolution. Bob’s native resolution for his screen is 1920×1080. Bob currently runs Planetside 2 at 1600×900, and has render quality at 80%. This makes Bob’s Planetside 2 3D resolution (1600 x 0.8) by (900 x 0.8) -> 1280 x 720. Bob figures out that 1280 ÷ 1920 = 2 ÷ 3 which is roughly 67%. Bob sets render quality to 67% in Options. Bob sets Planetside 2’s resolution to 1920×1080 in Options. Not all possible resolutions are displayed here. These are just popular resolutions. This guide has helped a lot of players who were otherwise unable to play the game. They were able to get their framerate from 10-25 FPS to upwards of 50 FPS in some cases. Not only does the game run smoother for them, but it also looks MUCH better. If you are having trouble getting the game to run smoothly, you should definitely follow the steps in this article and spread the word! Very good! I always played with my system (amd athlon II x4 635; radeon hd 7870, 8gb RAM) in heavy battles between 11-24 fps. Was not playable. The increase is not so great as expected (fps in hevy battles now @20-30, but it made the game playable again, without buying a new mb and cpu. Thx for that! I’m glad this guide helped you out! Spread the word to your friends that may be having problems running the game at a satisfactory level of performance! And be sure to check back once SOE releases the performance pass in the coming month or two – I’ll be sure to update this guide accordingly! Here’s hoping we can all play at 50+ FPS all of the time! Good guide, just a quick note – the game in fact DOES control pre-rendered frames (point 10) so messing with this in the driver can cause odd results. Stop recommending Razer Game Booster. It forces you to register an account with Razer to use it and uploads a list of your games to them. It has been turned into spyware. JetBoost does the same thing, but without any malicious “cloud” features. foo, Thanks for the great heads up. I’d stopped using Game Booster due to building a new computer that is 100% dedicated to gaming. I’ve checked out JetBoost and F’in love it! Thanks again!